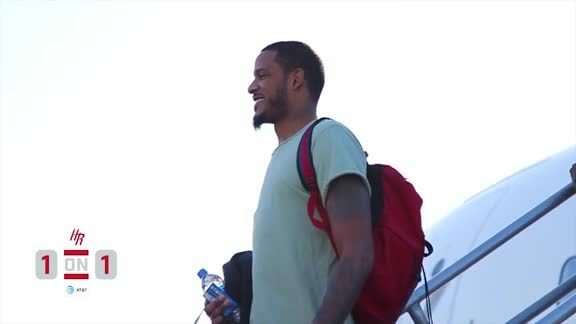 Go One-on-One with Trevor Ariza, presented by AT&T! "It's been a journey, but I made it back to where I started. That's a good thing." 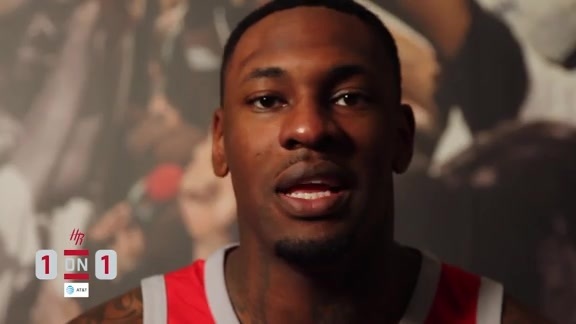 Tarik Black is the subject in this edition of One-on-One presented by AT&T! 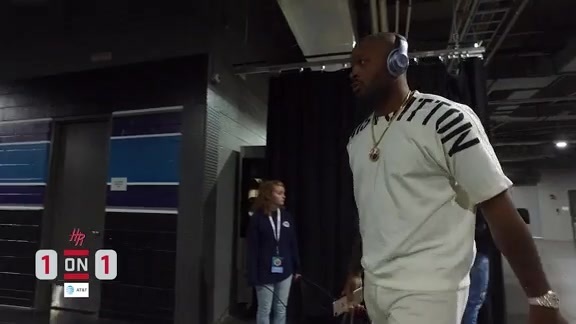 Go One-on-One with Rockets Forward PJ Tucker presented by AT&T! As you get ready for round 2 of the playoffs to start, relive our first round series with OKC in this edition of "Rockets Rewind" on RocketsTV! 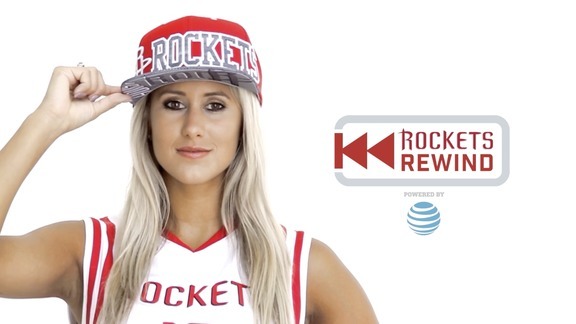 Catch up with Rockets TV reporter Lauren as she recaps the last few weeks of the regular season! General Manager Daryl Morey goes One on One with Lauren about the team's acquisitions, new coaching staff, and the playoffs! Rockets TV host Lauren goes One-on-One with Rockets Forward Montrezl Harrell about his biggest inspiration, pre-game rituals, and more! Rockets TV host Lauren goes 1-on-1 with Nene about preparing for games, what gets him amped up, and more! Join RocketsTV host Lauren as she recaps the last couple weeks in Rockets basketball including James Harden's All-Star selection, Yao Ming's jersey retirement and much more! Craig Ackerman interviews NBA Commissioner Adam Silver in a special edition of "One-On-One" presented by AT&T. In this edition of Rockets Rewind, Lauren recaps the end of 2016 and the start of the new year including James Harden's historic triple-double on New Year's Eve and NBA honors for both The Beard and Coach D'Antoni. As we head out on the road again, check out a recap of our last 5 road games including battles with the Thunder and Mavericks and the epic comeback vs. the Timberwolves. Watch as the NBA December Player of the Month, James Harden, goes One-on-One with RocketsTV host Lauren about his fans, his toughest opponents, and trying to make big noise in the NBA this season! Make sure to vote for him as an All-Star starter on Facebook, Twitter, NBA.com, the NBA App, and Google using "#NBAVOTE James Harden!" Check out a review of the week that was including the Rockets win streak and community events featuring Rockets players! 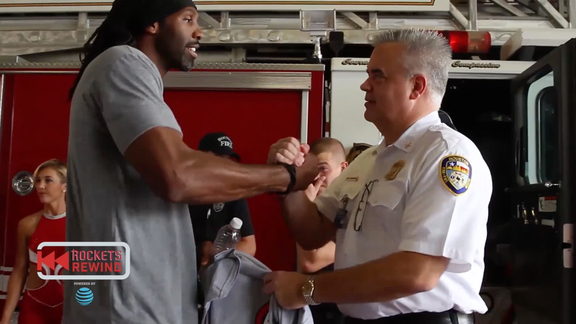 Pat Beverley talks about hard work, Batman vs. Superman, his biggest inspiration, and more on this edition of "One-On-One" on RocketsTV! Rockets TV host Lauren Leal recaps the week including the rousing double OT victory at Golden State, more record breaking performances by the Rockets, and a little bit of Rockets history too. Rockets Center Clint Capela goes One-On-One with Lauren about being a role model, physical fitness, his love of Harry Potter, and more! Rockets TV Host Lauren Leal recaps the week including James Harden making history, Acapella with Capela, Season of Giving, and more! Lauren goes one-on-one with Forward Trevor Ariza. Rockets TV host Lauren Leal recaps the Rockets five game road trip in early November, Rockets Run and the Rockets in the community. Relive the recent road trip in which the Rockets posted a 3-2 record with wins over the Knicks, Wizards, and Spurs. Sam Dekker goes one-on-one with Lauren about his gameday rituals, favorite TV shows, favorite superhero and more! Guard Eric Gordon goes One on One with Rockets TV host Lauren Leal. 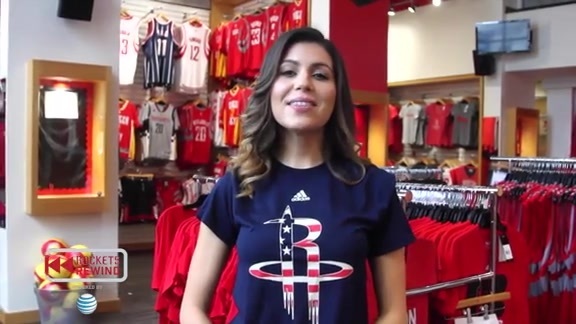 Rockets TV host Lauren Leal recaps the Rockets trip to China. 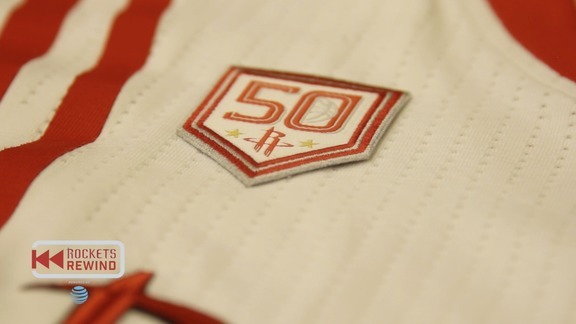 Rockets TV host Lauren Leal recaps Media Day, the brand new Rockets black jerseys, Rockets community events across Houston and announcing the 50 Seasons of Rockets Basketball campaign. Rockets TV host Lauren Leal covers the upcoming preseason schedule, Yao's induction into the Hall of Fame and the Rockets honoring 9/11 heroes. Our new Rockets TV & in-arena host Lauren Leal covers offseason acquisitions, Harden's contract extension, community events and more on this edition of Rockets Rewind! 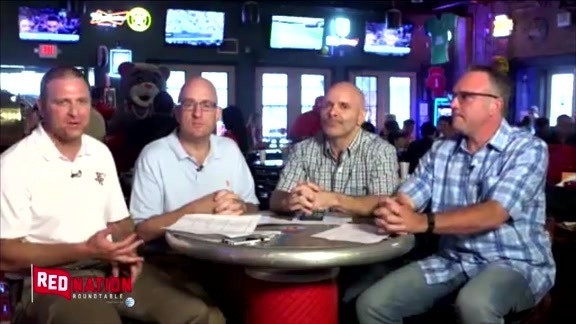 Craig Ackerman, Matt Thomas, Lance Zierlein & Dave Hardisty discuss and rank the best second round picks in Rockets history. 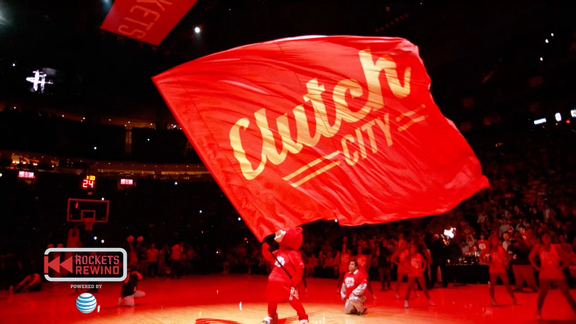 Host Terann Hilow recaps the D'Antoni hire, Rockets entertainer auditions, RPD class schedule and Team USA's August 1 matchup at Toyota Center. Host Terann Hilow recaps the Rockets first round playoff series against Golden State, Houston area flooding crisis and the Dwight Howard and Craig Sager #Sager Strong Blood Drive.